Gifts don't need any particular occasion instead when you share your love and happiness, show the gesture of love & respect and exchange gifts, that becomes an occasion. Like love has no language, gifts don't need any reason to be exchanged. I recently came to know about an online gifts store "IGP.com" and when I started browsing it, I became more and more ecstatic. I totally loved the collection. But its the site it self which captivated me. A huge collection which is categorized so beautifully. They have gifts by recipients and occasion, gifts by product category, personalized gifts and then flowers & Cakes. They also have age categories, which is brilliant. As per the IGP.com, it is one of India’s largest online gifts store specializing in gifts for all ages and occasions. It was established in 2001 and thus counts as one of the oldest gifts' portal as well. 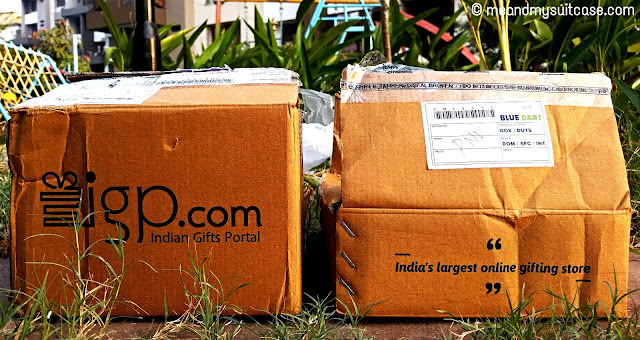 As the site claims and even as per my experience it did feel like one of the largest and most experienced online gifting company in India. They claim to specialize in flowers, cakes, chocolates, personalized products, festival merchandise, kids, home & living and fashion categories. It ships orders to 150+ countries (including USA, UK, Australia, Canada etc) and 7,000+ pin codes in India. They also have the same day delivery network in 300 cities in India. Being a traveler and for my love of quirky things, I had made up my mind. I wanted to gift myself something different this time. It was time to splurge on self. I checked a few gifting items and then I saw this beautiful combo, Brass Hourglass and Hand crafted diary hamper. 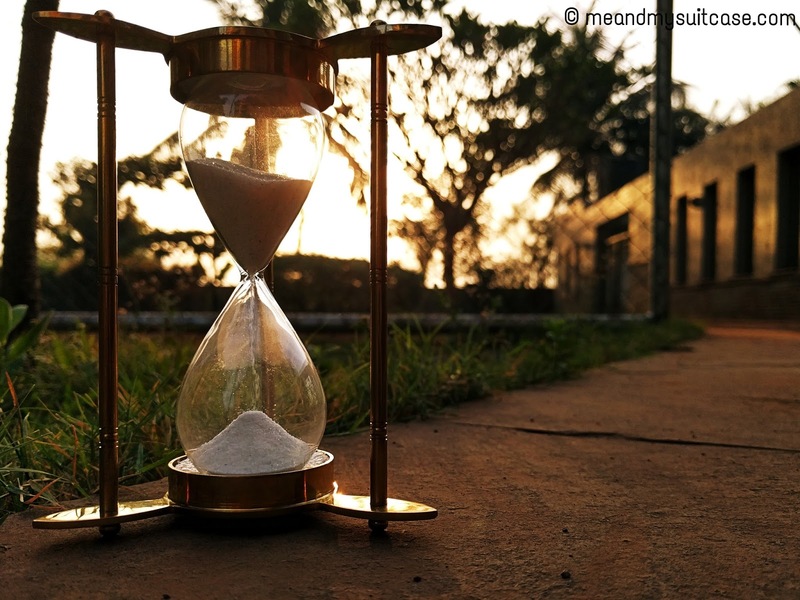 Long back I had gifted an Hourglass to my friend, since then I wanted one for my office desk but just never got a chance. So when I saw it on screen I decided to buy it. Cherry on the top was a quirky hand crafted diary which I totally loved, now, it is gonna make place in my travel bag. 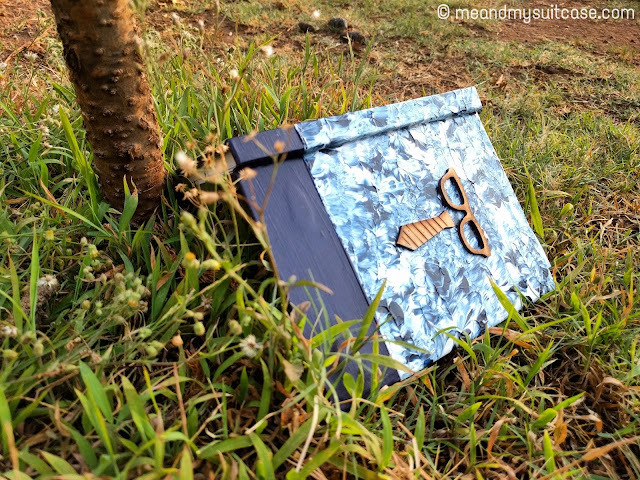 I started browsing some more to explore the collection and categories IGP has and then I saw an attractive gift set hamper for men by Yardley. I immediately bought it for my dad. Father is one who does everything in his capacity to protect and love their kids but not often show it. As kids we also don't thank him enough so I though why not gift my dad this hamper with beautiful scent as a small gesture to show my love and respect for him. My shopping experience was smooth. The site is really impressive and easy to browse through. As easy it was to explore the site, shopping was a quick procedure as well. The delivery was quicker than that. I received the products in just 3 days. The packaging was good and mighty impressive. Be it any occasion, IGP has it for you. Go for it! I am sure you will love your shopping experience on IGP.com.